Westminster Foundation for Democracy (WFD) is a public body sponsored by the UK Government responsible for supporting the establishment of effective multi-party democracy in developing countries. Since 1992, we provide training, technical support and enable the exchange of knowledge between the institutions of the UK and those of partner countries. WFD works in partnership with UK political parties and parliamentary, electoral and civil society institutions. We are implementing programmes in over 30 countries, through a global network of over 26 local offices. · strengthen the capacity of the Senate, County Assemblies and other Oversight Institutions to effectively hold the executives accountable for service delivery. 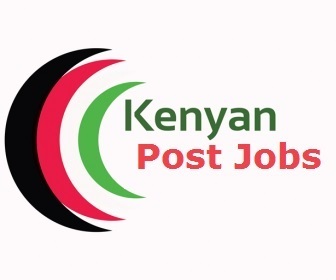 The position will be responsible for supporting all the primary financial and accounting transactions in the Kenya office and ensure financial transactions and records are undertaken and maintained in accordance with internal and external financial requirements and in compliance with the laws applicable in Kenya. The post holder will need to be fluent in English, an excellent communicator, organised and efficient, have great attention to detail and establishes, builds and sustains effective relationships within the programme team and with internal and external stakeholders with exceptional financial and administrative experience and skills. · First degree or similar, in a relevant discipline for e.g. business studies, finance, office administration, project administration or accountancy CPA, ACCA. All applicants must submit a completed application form to recruitment@wfd.org by 23:59 (GMT) 20th September 2018 to be considered for this role. Please note: Due to the volume of application we receive, only shortlisted candidates will be notified. · improving the ability of parliamentary oversight committees to carry out effective oversight and scrutiny of public finances, aimed at supporting accountable service delivery by both national and county governments. addressing organizational capacity gaps facing parliamentary oversight committees, which hinder their ability to carry out practical oversight of public finances managed by the government Main Purpose of the Role The role will be responsible for leading, driving and coordinating the day to day delivery of programme activities and managing administrative and logistical requirement in planning, budgeting, implementation and, reporting of the programme. · monitoring and evaluation of programme activities, distilling leering and best practices and communicating programme successes and successful case studies through WFDs reporting and information sharing mechanisms. · One of the Programme Coordinator’s key tasks will be to realise the successful implementation of the activities of the programme. The Programme Coordinator will work closely with responsible officials of the beneficiaries of the project, including: The Senate County Public Accounts and Investment Committee; The National Assembly Public Accounts Committee and the Office of the Auditor General. · First degree or similar, in a relevant discipline such as social sciences. A master’s degree in development or a related field is an added advantage.